At sixteen, on holidays in Jamaica, my cousins and I would hitch a ride from the villa our family had rented and make our way up the road to Duncans, a small rural town sandwiched between Montego Bay and Ocho Rios. Skateland was the place to be and be seen. We were clearly the only ‘tourists’ in the joint and even through we had long ago given up the requisite tourist braids, roller skating with the Jamaican girls was just not going to happen. We watched the girls and guys go around and around grinding and winding to reggae, ska and dancehall that blasted from the 12 foot high stacks of speakers. Because we didn’t want to stick out like lame-old vacationers, our sixteen year-old brains decided we would be better off hoisting ourselves up onto the stage to dance. Invariably, guys would come up very (very!) close behind us and dance right along – one hand on us, and the other clutching a bottle of rum cream. Rum cream was to the Jamaican teenage boy what Mike’s Hard Lemonade was to the Canadian teenage girl. We wanted our alcohol sweet. There is nothing worse than a hangover after drinking sugar doused alcohol all night – and rum cream, being something like a Bailey’s or Amarula, is just creamy sickness. It has been a long long time since I drank. On the rare occasion that I do, I stick to the cleanest alcohol and only in very moderate amounts. But I’m here to help. I will shake my head, tell you to remember how this feels, and ask whether it was worth it, but I will also offer some helpful advice beyond Tylenol and Coke, a bacon and eggs breakfast, or worst of the worst, hair of the dog. B-complex vitamin: Take before bed. It helps get the cells active and increases energy production helping eliminate the alcohol faster. Milk thistle: Take before bed. It helps clear the liver. Magnesium: Take before bed. It’s believed that some of the hangover-related symptoms are, in part, due to magnesium depletion. Ginger tea: Settles the stomach. Lemon in the armpits (you read that right): Helps reduce sweating and so decreases dehydration headaches. 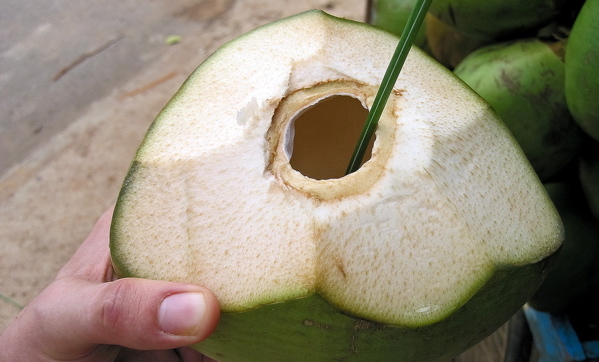 Coconut water: Amazing for re-hydration, nature’s sport’s drink. Nux Vomica: It has the ‘vom’ in it so you know it’s good. It’s homeopathic, available at most health food stores, and is believed to be the best hangover cure ever. Symptoms helped by Nux Vomica include headaches, nausea and oversensitivity to noise, light and drafts. And are you ready for the best one of all? Check your binge drinking at the door of your high school prom, or your university homecoming, and get on with your life. Really? Is it ever worth it? Very helpful tips, but we suggest you to try the favorite hangover cure in France: Security Feel Better. It’s 100% natural, tastes good, and you just need one bottle of it to feel better the day after. Highly recommend it! Really? Is it ever worth it? What a GREAT article! I love it! I quit all alcohol/drug//tobacco/coffee in the past17 years, ( listed in order of quitting), coffee 3 years ago, & I feel amazing! “The Road of Excess Leads to the Palace of Wisdom”, I think, although I shall always be a “Work in Progress”. For me, though, the more I fixed my life, the less I needed to self medicate. The journey was worth it, though- I agree with J.